OfficePOD®. Create my own space. OfficePOD has the power to release your company from the operating constraints associated with traditional real estate. We are able to explode the standard models and solutions and bring far greater choice and flexibility to your business. Essential to this is OfficePOD’s ability and willingness to work closely with you to tailor the space and provide a solution that is right for you. For some of our customers, it is the creation of ‘go anywhere’ accommodation that is of strategic importance to their businesses, enabling them to extend their reach and exposure into a far wider public domain. OfficePOD can offer a vehicle with which to stimulate business growth, innovation and dynamism. OfficePOD’s team of skilled and experienced designers and project managers are able to work with you to create bespoke and sometimes specialist accommodation that go beyond our standard office and meeting POD configurations. 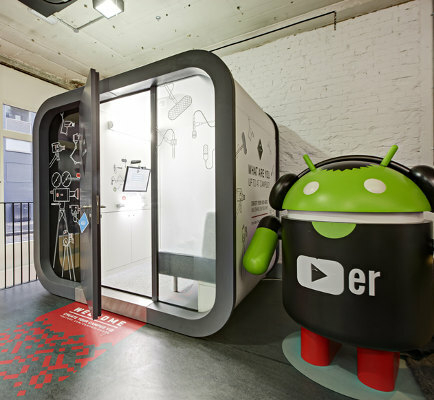 Furthermore, the ability to brand the PODs could be essential if the PODs are to be used in a 'public' setting such as reception areas, visitor centres or even the high street. In such cases a solution that has the required visual presence is essential; OfficePOD can work with you to create that impact. 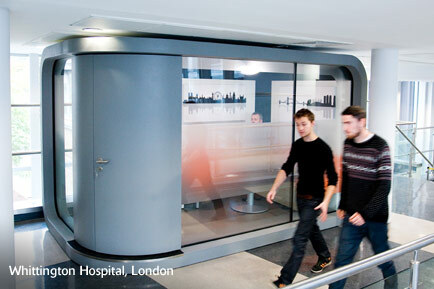 With a range of possible sizes, we can assist across a wide spectrum of uses and applications.